What’s the point of music radio any more? I have very ingrained radio habits. I listen to NZ National from 7am till about 1, to catch up on what’s going on in the world from the country’s best journalists, then I switch to Auckland’s BFM, which I prefer for the music, some of the Wired journalistic-style features and, let’s face it, the consistently funniest ads you’ll ever hear. My only gripe with BFM is that some of the DJs think I want to hear them discourse at length about whatever takes their fancy. They’re wrong. But I was listening to BFM the other day when I realised the DJ was actually playing tracks from Apple Music. I’m not saying I could figure this out due to some kind of extremely fine-tuned musical perception combined with my long time close association with all things Apple, because no – I knew because he said so! Now, in iTunes, you can listen to radio without even using Apple Music. Open iTunes, make sure you’re on Music, and along the top centre, you’ll see Library (your music), For You (Apple Music), Browse, Radio and Store. Yes, it’s called Radio. There’s plenty there, and it’s well worth a look, but the difference between that and Apple Music is that Music has you pay a subscription but then it curates to your tastes, even making suggestions to encourage music discovery, which is really cool (Spotify and the like does the same thing). Which brings me back to BFM. I listen to BFM because about half the music they play, at least, is music I like, and it’s been my primary source of music discovery since the 1980s. With Apple Music, I would get a more tailored experience, discover new music, no ads at all (even though BFM’s are very witty), and no annoying DJs who wrongly assume I will be dazzled by their brilliance about everyday life when all I want them to do is put another track on. See all the best new features in Apple’s macOS Sierra in this AppleInsider video — Apple’s forthcoming macOS Sierra update will focus on continuity and iCloud, further blurring the lines between the company’s Mac lineup and its portable devices, like iPhone and iPad. AppleInsider offers a closer look at what’s new in macOS Sierra. VideoTweet review: sharing Mac videos on Twitter just got a whole lot easier — VideoTweet takes the drudgery out of sharing QuickTime videos on Twitter from an easy-to-use app, Final Cut Pro X, or your favourite OS X sharing extension-friendly software. How to dispose of a printer securely — You might think printers have no private data. But some may retain vestiges. CloudMounter simplifies managing cloud accounts on your Mac — In these days of high-speed Internet connections and low-capacity SSD drives in laptops, cloud storage services are becoming more and more popular. Like me, you may have several different cloud accounts. This is where Eltima’s US$29 CloudMounter app for Mac OS X (Yosemite or El Capitan) comes in handy. Final Fantasy IX Released for iPad and iPhone, Discounted 20% — Final Fantasy IX has been released on iTunes for iPhone and iPad, and it’s on sale for 20 percent off (to NZ$24.99) through February 21st. TouchArcade noted that the game was originally supposed to be released in Japan only at first, making Tuesday’s release a boon for fans of the iconic franchise. First look: Apple adds voice dictation to latest Apple TV with tvOS 9.2 beta 3 — This week’s release of tvOS 9.2 beta 3 further addresses the device’s text input shortcomings, giving users the ability to enter words using voice, rather than the onscreen keyboard. iPhones accounted for 40% of the U.S. smartphone market in 2015 — Parks Associates has released new mobile research showing that 86% of U.S. broadband households now own a smartphone. And the iPhone accounted for 40% of the US smartphone market in 2015. Winslet and Sorkin pick up Golden Globes for Steve Jobs — While the Danny Boyle film Steve Jobs hasn’t exactly been a box-office smash, the movie has received critical acclaim since its first showing at the Telluride Film Festival in 2015. Last night, the movie was honoured with two Golden Globe awards. Screenwriter Aaron Sorkin decided to show the life of Steve Jobs in three acts: three different product introductions. Sorkin won the Best Screenplay award. Kate Winslet, who played Joanna Hoffman in a highly-fictionalised role (she’s shown as being behind the scenes at all of the product introductions when she was not), won the Golden Globe for Best Performance by an Actress in a Supporting Role. Apple Music has over 10 million subscribers — In Midia Research’s Predictions for 2016 report — as noted by Music Business Worldwide last month— music business analyst Mark Mulligan predicted that Apple Music will have nearly 8 million subscribers by year’s end with that number hitting 20 million in 2016. He noted that Apple’s music service “went from zero to the No.2 streaming service in just months in mid-2015.” Twenty million subscribers still won’t catch Spotify, but will solidify Apple’s runner-up position. EU ruling against Belgian corporate tax breaks may set precedent for decision on Apple — The European Commission on Monday ruled that Belgium broke state aid rules by offering tax breaks to a number of multinational corporations, 35 of which will have to repay $765 million. Belgium’s practices hurt competition by “putting smaller competitors who are not multinational on an unequal footing,” according to the Commission’s competition policy head, Margrethe Vestager. The coolest camera gear at CES — This is a Macworld slideshow. 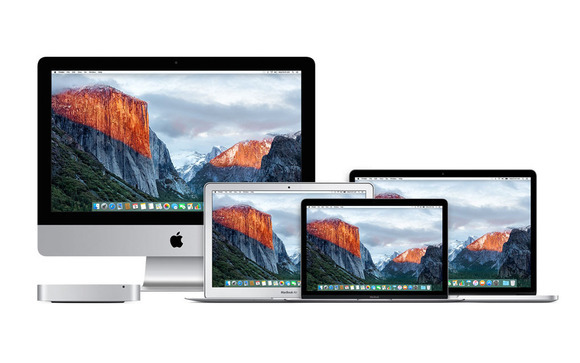 Apple adds 2008-2009 Macs & more to list of ‘vintage and obsolete’ products — Apple has updated its official list of “vintage and obsolete” products, used to determine whether or not the company will repair or otherwise support any hardware problems. Safari 9: using Responsive Design Mode — If you’re a Web designer, boy, are will love this. Under the secret “Develop” menu, the new version of Safari is hiding something cool — the ability to view a site as it would appear on different devices and under different user agents, all in one place! That’s just…well, that’s awesome, is what that is. Apple Music racked up more than 54.5M monthly users in 2015, study says — According to a year end report from consumer research firm Nielsen, Apple Music was one of the most popular smartphone apps of 2015, and with more than 54.5 million monthly users ranked among offerings from Facebook and Google. Apple’s new Mouse, Trackpad and Keyboard — Apple’s new Magic Mouse 2 isn’t really that much different from the original Magic Mouse. It has major changes that affect how the mouse moves and a new built-in battery but nothing to make you ditch your current mouse. The Magic Trackpad 2 is shockingly large and blindingly white and looks kind of a like a futuristic thing you’d find in a high-tech kitchen. Six reasons Apple Notes still can’t replace Evernote — With iOS 9 and OS X El Capitan, Apple finally bulked up its minimalist note-taking apps. The upgrades are welcome, but the latest Notes apps aren’t going to persuade many people to give up Evernote, OneNote or even Google Keep. 1Password to change file formats after key file found to contain unencrypted data — 1Password makers AgileBits have promised to change one of the default file formats in the software in response to a blog post by Microsoft engineer Dale Myers, who revealed an AgileKeychain file was displaying unencrypted metadata. Earning a third as many paid users as Spotify in under 4 months, Apple Music already a hit, FBR says — Less than four months after it launched, Apple Music already has 6.5 million paid subscribers, or nearly a third of the 20 million who pay for Spotify, a service that has been around since 2008, investment firm FBR & Co. said on Tuesday. Apple Maps integrates select Amtrak routes, Boston area transit directions — A month after Apple debuted transit directions in its Apple Maps service for US and Chinese (mostly) locations, the company has added selected Amtrak train arrival and departure data as well as local support for Boston. Apple’s Tim Cook to join group of corporate leaders tackling Chinese environmental problems — Apple CEO Tim Cook is joining the CEO Council for Sustainable Urbanization, a group formed by the Paulson Institute and the China Center for International Economic Exchanges in order to divert the environmental impact of China’s urban growth. The Complete Guide to an OS X Clean Install of El Capitan — Apple has designed OS X so that one can just upgrade to the next version, “over the top,” seamlessly. With this kind of upgrade, all user data, settings and accounts remain as before, and that works for most users most times. However, there are occasions when a user needs to do what’s called a Clean Install, which is like setting up a Mac as if it first came out of the box and then personal data is restored. This article lists the steps needed for that Clean Install. How to use gestures in OS X El Capitan Mail — Mail in Mac OS X El Capitan supports more gesture controls than its predecessor. Add your accounts to Mail and you’ll be able to access all your email from one place, then use swipe gestures to delete messages (just as you can in iOS 9) or mark them as unread. OS X security is a lot better than you thought — Just about every week we see articles rolled out about how a security researcher has found a scary security flaw in OS X. It makes for great headlines, but how are the every day Mac users actually affected by these headlines, and how should they react? We should be able to leave our digital goodies to our children — When you “buy” digital content such as books, music and movies from Apple and Amazon, you’re not actually buying them but renting them. As more people realise this, it’s unlikely they’ll reconsider making physical purchases instead of digital ones. But this needs to change. Tim Cook: the NSA won’t be asking for backdoors (anymore) — Apple CEO Tim Cook said he doesn’t think we will hear the US National Security Agency asking for a back door into our iPhones, at least not any more. In an interview on NPR’s All Things Considered on Thursday, Cook implied that even the FBI is coming around on the need for end-user encryption. Apple reportedly closes deal on huge Sunnyvale campus — Apple has reportedly signed a lease for a 770,000-square-foot campus to be built in Sunnyvale, California, a stone’s throw away from its Campus 2 ‘spaceship’ currently under construction in Cupertino, expanding the company’s already substantial presence in the area. Apple is also massively expanding its Oregon data centres. Get Backup Pro makes life easier for owners of multiple Macs — Get Backup lets you use Mac OS X 10.6 or higher to clone a hard drive or solid state drive, making a backup disc that be booted up just in case there’s a problem like a system crash that could result in the loss of valuable data. (This can take several hours depending on the size of your Mac’s drive.) However, what really sets Get Backup Pro apart from its competitors is its ability to keep files in-sync and up-to-date on two computers. Microsoft acknowledges Office 2016-OS X El Capitan crashes but lacks ETA for fix — ‘We are working closely with Apple to resolve this issue,’ says company manager. Here’s how to manage your iCloud storage — You have two choices when you reach or exceed your storage limit. You can upgrade your iCloud storage plan or reduce the amount of storage you’re using. Also, what happens when you delete an iCloud photo library. Ten Mac games — A Macworld slideshow. Apple Music — worth keeping? Latest Apple Music ads debuted during MTV VMAs featuring The Weeknd & playlists — Taking advantage of a traditionally large and young viewing audience, Apple debuted two Apple Music commercials featuring The Weeknd and a guest appearance by John Travolta during Sunday’s MTV Video Music Awards. Siri and Apple Music — Macworld has a slideshow explaining all Siri can do with Apple’s streaming music. KeyRaider malware stealing Apple account info on jailbroken iOS devices — Since iOS first appeared in 2007, people have hacked the operating system because they wanted their devices to do more. 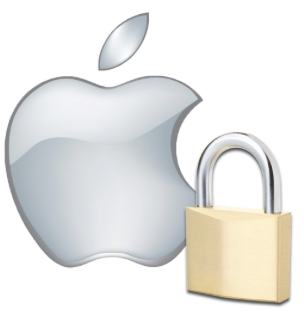 Now that there are well over 1.5 million apps available that can do just about anything your heart desires, perhaps it’s time for the jailbreakers to just cool it because a new piece of malware called KeyRaider only attacks jailbroken devices is a perfect example – it has already been responsible for stealing the Apple account info on more than 225,000 devices. Apple and Cisco have partnered to deliver fast lane for iOS enterprise users — Apple and Cisco have announced a partnership to create a fast lane for iOS business users by optimising Cisco networks for iOS devices and apps, integrating iPhone with Cisco enterprise environments and providing unique collaboration on iPhone and iPad. New Apple TV rumours — When the price of Apple TV dropped to US$69 and added “starting at” to the streaming content device’s webpage, Apple clearly telegraphed a higher priced model would be coming. Now a rumour claims a second model will be priced between US$149 and US$199, and is going to be introduced during the company’s September 9 media event. Google’s Android Wear gains compatibility with Apple’s iPhone — Google on Monday announced Android Wear for iPhone, bringing support for the search giant’s wearable device platform, as well as select devices, to Apple’s best selling handset. 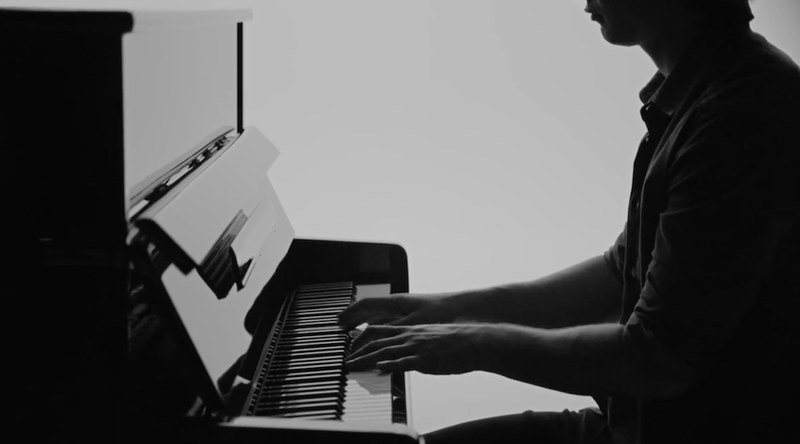 New Apple Music TV spots market mission statement, individual musicians — Apple has premiered three new black and white TV ads for Apple Music on its YouTube channel, with one focusing on the meaning behind the service and two concentrating on specific artists. In the first, Discovery, Apple claims that it wants to create “a place where artists and fans can discover one another,” run by people “who live and breathe music.” It mentions radio stations and curated playlists as some of the service’s core features. How big is a 12 Megapixel photo? Rumours claim Apple will introduce a new iPhone model in September with a 12 megapixel camera. Aside from “that’s more megapixels!” exactly what will a 12 megapixel camera in your next iPhone get you? Less space – read on to see Jeff Gamet’s explanation. Dr Dre’s ‘Compton’ album hits 25M streams on Apple Music in first week — Hip-hop icon Dr Dre’s much-awaited album Compton: A Soundtrack was streamed 25 million times during its first week of availability, driving nearly half a million paid downloads on iTunes over the same period. Obama’s Spotify playlists are (unofficially) Available to Apple Music Subscribers — Last Friday, President Obama tweeted two of his summer playlists to the world, except he chose to use Spotify to do it. I get it, Apple Music is missing one of POTUS’s daytime jams – Low Cut Connie’s Boozophilia – but that’s no reason we Apple Music subscribers should totally miss out, right? 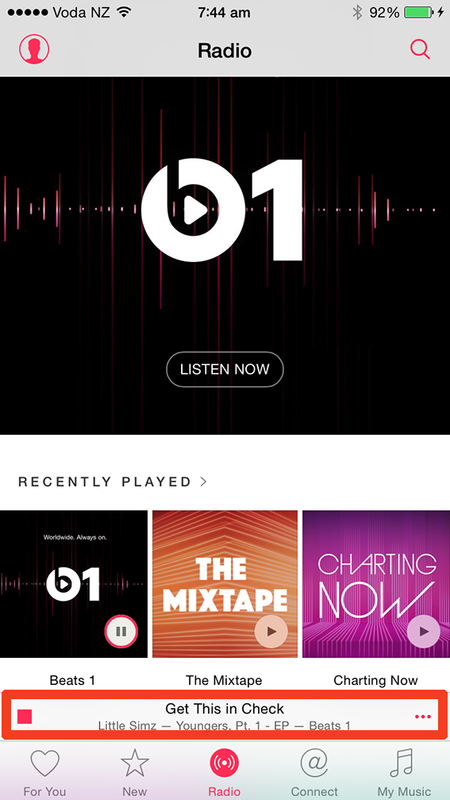 Apple’s ‘Beats 1: Replay’ brings full show replays to Connect— A recently activated Apple Music Connect feature called Beats 1: Replay allows fans to replay taped Internet broadcasts of their favorite shows, including those hosted by DJs Zane Lowe, Julie Adenuga and Ebro Darden. Apple Music joins streaming services counted in influential Billboard charts — Music magazine Billboard has quietly added Apple Music to the list of streaming services factored into its music charts, which are often treated as the main gauge of popular music in the United States. Dealing with iPhone 6 freezes — If you’ve experiencing problems, try the following solutions in order but only after you’ve backed up your iPhone data to your iCloud or iTunes. Apple Music helps iOS 8.4 exceed 40% adoption in first week — Apple now notes that as of June 22, 84% of its mobile users are now using iOS 8. Analytics firm Mixpanel further details that 40% of the installed base has already upgraded to iOS 8.4, and states that rapid adoption is being driven by interest in the new Apple Music. 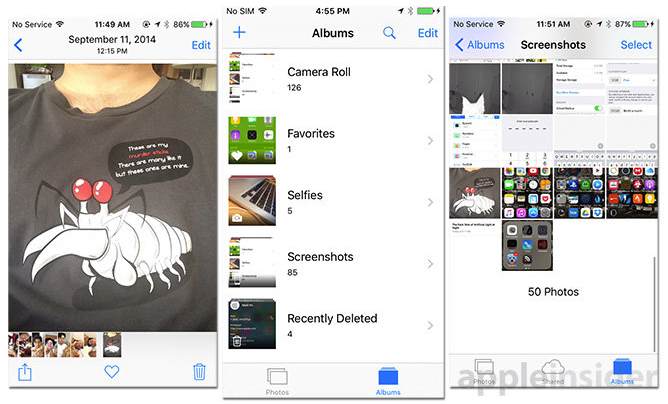 Latest iOS 9 beta includes separate Photos folders for selfies, screenshots — With its latest iOS 9 beta, Apple introduced separate Photos folders for selfies and screenshots, a small but useful addition that could go a long way in cleaning up users’ libraries. Health app inspires people to be more health-conscious — Smartwatches and fitness bands promise to help you get healthier, but about a third of wrist-worn activity trackers are abandoned after six months. One health app developer decided to see if the Apple Watch was a different story, or if Apple’s watch would be relegated to a junk drawer with other unwanted tech two months in. Some great tips to help you get to grips with Apple’s new music service. 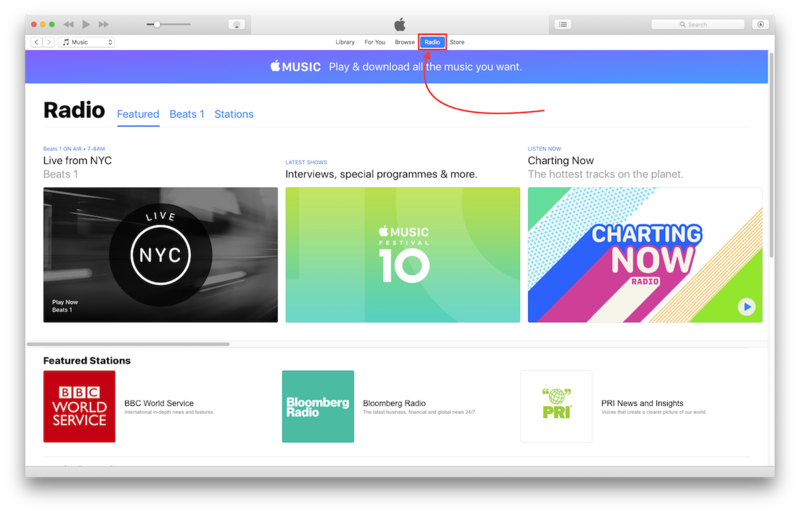 1/ How to use the mini music player while browsing Apple Music — The new Music app in iOS is chock full features, including the Beats 1 radio station, the For You recommendation engine and the Connect social network. Apple has included a mini player that allows you to control your music while you browse through all the content in the app. 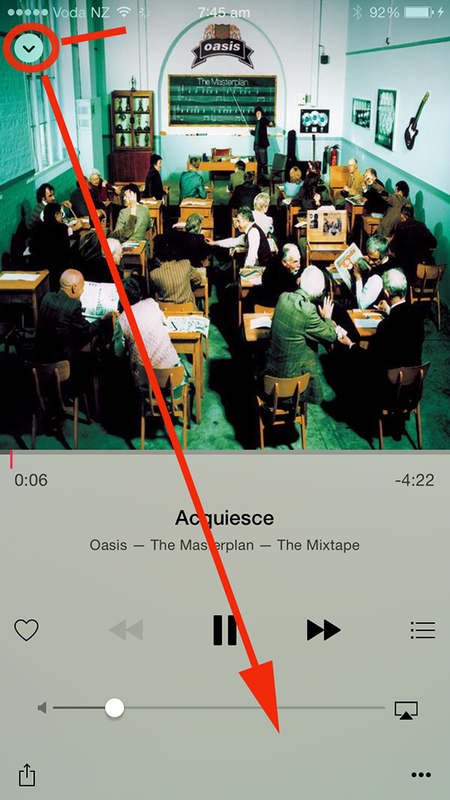 The mini music player is the little horizontal strip at the bottom of the screen just above the bottom navigation bar. It displays the current song playing and even displays tracks that you are listening to on Beats 1. It has a small play/pause button and a three ellipse button that pulls up a menu with track options to “Add to My Music”, “Show in iTunes Store”, “Share” and more. 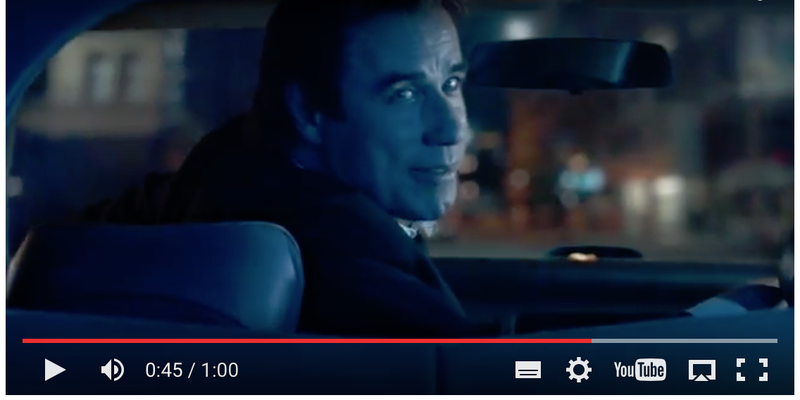 You also can tap on the center of the player to launch the song in full screen mode. Once you are in full-screen mode, you can tap the small circle at upper left to minimise the player back down into it’s horizontal strip and go back to browsing content on Apple Music. The mini player remains in place (left) while you look through all parts of the Music app, including For You, New, Radio, Connect, and My Music. 2/ Add an image and nickname to your profile — One appealing feature of Apple Music is the social aspect: you can curate your own playlists and share with others. In order to do this, you need to make sure you have your username set up. First, launch the Music app (the new one with the white background and gradient icon) and take a look at the front page. Tap the person silhouette in the top left. On the account screen, you’ll see your name, and a space for an image and a nickname. Tap that area and add whatever you’d like your nickname to be 9in my case, macnzMark), and even adjust your name if you want to. Tap the edit just below the circle with your initials in it and you can add an image from your device as your user image. Currently, this nickname doesn’t appear to do much aside from show up on your comments if you comment on Connect pages, but it stands to reason that in the future you can follow others (aside from artists with Connect pages) and find playlists by your friends. 3/ Use Siri with Apple Music — Apple has steadily improved Siri’s music controls, allowing you to open the music app, play songs, and even identify tunes using Shazam. This integration continues in the new Apple Music with Siri allowing you to interact with Apple Music tracks, Music Radio stations and even Beats 1. 4/ Request a song — Apple has set up a special Request a Song page on Tumblr, with lists of phone numbers covering various regions. You can use the Messages app for iOS or Mac to send a request to beats1radio@icloud.com, and you can even just call: people from outside the listed regions must call a U.S. number where long-distance charges apply– from New Zealand, it’s +64 9-887 8360. If you call one of these, you will be asked to leave a recorded message with your name, location, and the song you want before hanging up. 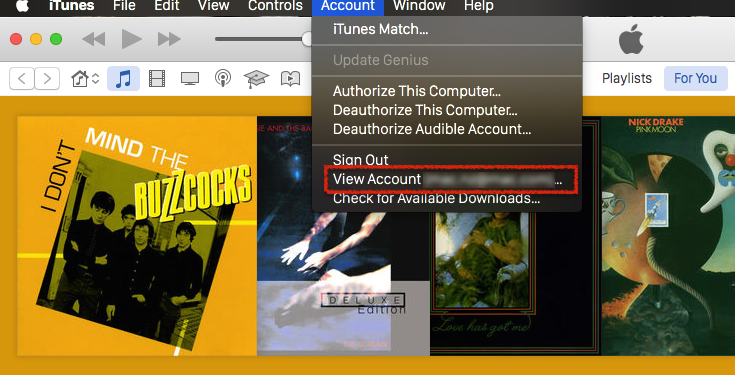 Request messages themselves may be played on the air, but there is no guarantee one of Apple’s DJs will accept a request, and some shows are either repeats or do not accept listener suggestions. 5/ Remove Connect from Apple Music and replace it with Playlists — While Apple Music Connect is a social network for musicians to ‘connect’ with their fans by sharing content and adding comments when their fans respond, Connect isn’t for everyone, and you can remove it from Apple Music if you’re not interested. Once removed from Apple Music, the Connect tab is replaced by Playlists. Here’s how to make the swicth. Removing Connect requires you to setup Restrictions and use the parental controls to block the Connect social network. Open the Settings app and then go to General > Restrictions > Enable Restrictions. You must enter a parental control password — remember this password in case you need to get back inside this Restrictions menu to restore Connect. In these parental controls, you can select the toggle to disable “Apple Music Connect.” Similar to other iOS toggles, green is on and grey if off. When you return to the Music app, you should no longer see the Connect tab. In its place is the very useful Playlist tab. If you do not see these changes, then you should forceclose the Music app using the iOS task switcher and restart it. More: Connect with and follow your favourite artists — a strong feature of Apple’s new streaming music service is Connect, a Tumblr-like social network for musicians and fans. It’s actually one of the simpler features of Apple Music. Following a specific artist is easy: just access their individual page and tap the Follow button — they’ll automatically start showing up in your Connect stream. You can get to an artist’s page in a variety of ways. Tap their name when you’re looking at the detail view of an album or song, or use the universal search field to find their individual pages directly. You can manage your entire list of followed artists from your account page. To access it, tap the small outline of a person that can be found in the upper left of most screens, then tap Following to bring up a list of every artist you’re following (and you can unfollow any artist from there). Apple allows you to automatically follow any artist when you add their music to your library, an option that can be enabled or disabled from the same screen. Tapping Find More Artists and Curators will bring up a list of follow recommendations based on your library and the artists you already follow. You can turn off Auto Renew in iTunes 12.2 so you don’t start paying the subscription when your three month trial runs out unless you specifically want to. The OS updates that included iTunes included loads of security updates. Apple loses e-book antitrust appeal — An appeals court ruled against Apple’s challenge of a lower court’s decision which found the company liable for illegally conspiring with ebook publishers to jack up prices. Photos, iCloud Drive, iMessage, other online Apple services hit by slowdowns & outages — A series of Apple’s online services suffered slowdowns on Wednesday, and may be completely inaccessible to some users, according to Apple’s official system status page. Mac OS X 10.10.4 adds TRIM support for third-party SSDs — Yesterday, Apple released Mac OS X 10.10.4, providing a number of bug fixes and subtle improvements to the currently shipping version of the desktop operating system. According to Ars Technica, one of those improvements is the addition of support for TRIM on third-party solid state drives (SSDs). Apple updates GarageBand for Mac and iPhone — Apple has released GarageBand 10.1 for OS X Yosemite (as well as GarageBand 2.0.7 for iOS 8). Both updates add support for Apple Music Connect, allowing artists to upload content directly to Connect. The Mac version also adds ten new drummers, new patches, 1,000 new Apple Loops, support for Force Touch trackpad (which is currently only available on Apple’s new MacBook), and more.